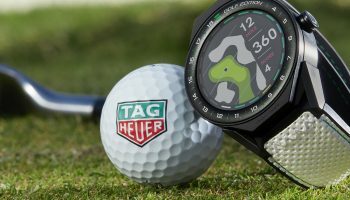 Last night the TAG Heuer brand brought together almost 200 guests from the world of media and business along with celebrities to celebrate Formula 1 driver Max Verstappen. 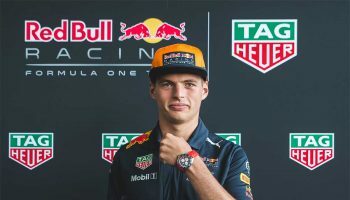 During the night TAG Heuer presented the Max Verstappen Special Edition to honour his victory at the Spanish Grand Prix in Barcelona as the youngest Formula 1 winner ever. With a perfect combination of charm and professional racing expertise, the evening was hosted by Kristina Bozilovic and former Formula One driver and TV commentator Robert Doornbos. 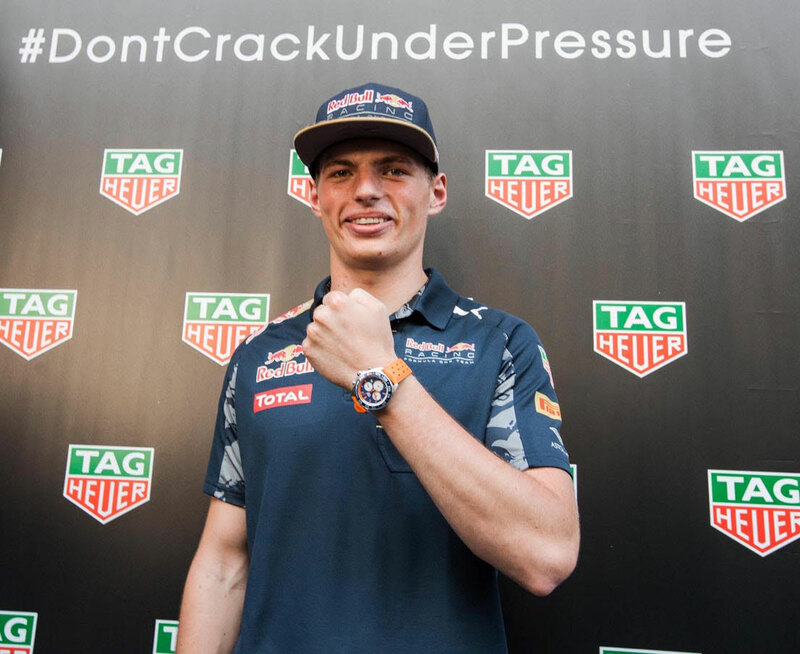 The highlight was a BATAK© #DontCrackUnderPressure contest in which Max Verstappen competed against the reigning Kickboxing World Champion Rico Verhoeven, as well as Robert Doornbos and a guest selected by the jeweller Gassan as part of an online competition held before the event. And as it turned out, the participants weren’t too far apart in their skills. 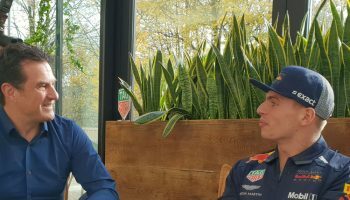 Max Verstappen was bitten by the racing bug at an early age, inspired by his father, the former Formula One driver Jos Verstappen. 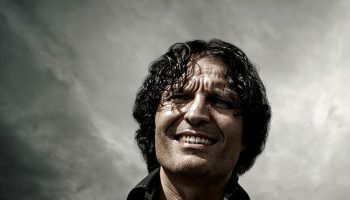 He began karting when he was just eight years old and soon moved onto international karting where he was crowned European Karting Champion twice and World Karting Champion once. After the Formula 3 European Championship in 2014 Max’s meteoric rise continued when he was promoted to the premiere league of car racing and joined the Formula One team Scuderia Toro Rosso for the 2015 season. References: CAZ1018.BA0842 – Blue dial, aluminium bezel and steel bracelet. CAZ1018.FC8213 – Blue dial, aluminium bezel and strap made from technical textile. Case: 43 mm in diameter, made from polished and brushed steel. 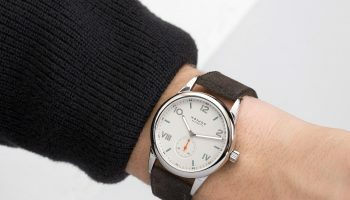 Fixed bezel made from polished and sand-blasted steel and matte blue aluminium, with a silver-plated tachometer scale. 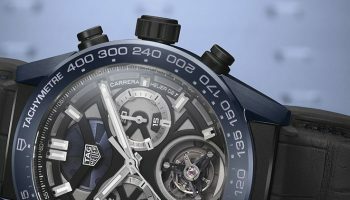 Sapphire crystal – Polished steel screw-down “Easy Grip” crown with TAG Heuer logo. Brushed steel crown protection – Push-buttons in polished steel. Screw-down case back in brushed steel with the text “Red Bull Racing” – Water-resistant to 200 m. Movement: Ronda 5040D – Quartz chronograph with date window at 4 o’clock. 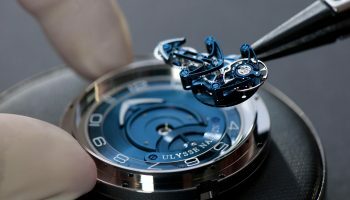 Dial: Blue with 3 white counters: a 1/10 second counter and chronograph hour counter at 6 o’clock, a chronograph minute counter at 9 o’clock and a current seconds counter at 3 o’clock. Hand-applied faceted and polished indices with luminescent markers. Polished hour and minute hands with luminescent markers. Black gold polished counter hands with red tips – Red central seconds hand. 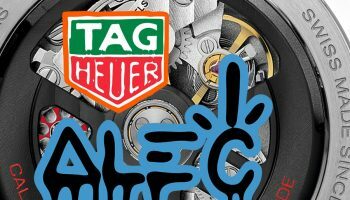 Printed TAG Heuer logo and text “TAG Heuer – FORMULA 1” – Blue and red printed minute track. Strap Triple-row brushed stainless steel bracelet with brushed steel clasp, dual safety mechanism and extension for the motor races, or blue strap made from technical textile with red stitching, inspired by a racing seat belt. Marco has spent his entire career in the media industry. 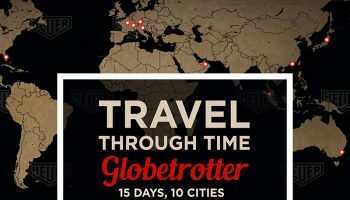 In 2008 he joined our team and entered the world of watches. At our company he is taking care of online things and all kinds of projects. 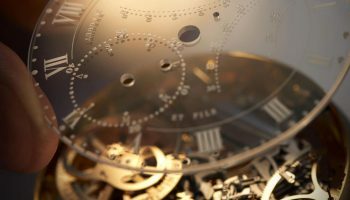 Marco is the owner of a classic Pontiac watch which was worn by famous cyclist Wim van Est in the Tour de France of 1951. After work Marco is fanatic cyclist. After training and racing he likes to relax while reading our magazines of website articles.